Hello friends! 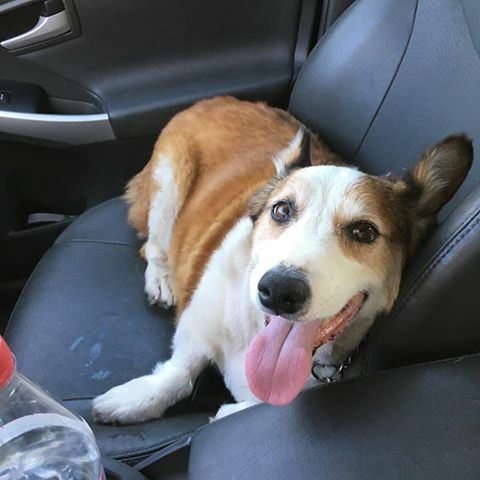 I'm Dixie - an 11yr old Pembroke Welsh Corgi, looking for my furever home! I'm a classy lady that enjoys a relaxing lifestyle of dog bed snuggles, leisurely walks, and outdoor adventures involving noms. I have a sensitive back so it'd be best for me to be on a single level home, or I'd need a boost on the human escalator. 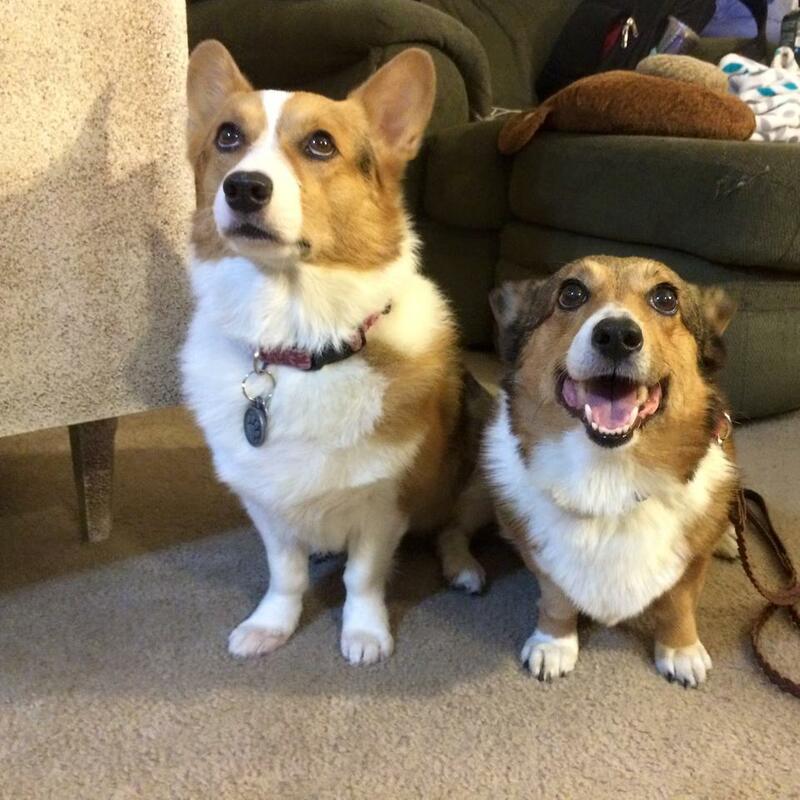 I'd be great for a first time corg parent and beginner dog owner, as long as they understand what us corgs are made of. I'm a classy lady with some street in me. I won't ever start a fight, but I'll certainly finish one! Do you work in a dog friendly office, from home, or are retired? Consider a plug n play girl like me! For more information about Dixie, email info@qbsdr.org or submit an application for review. 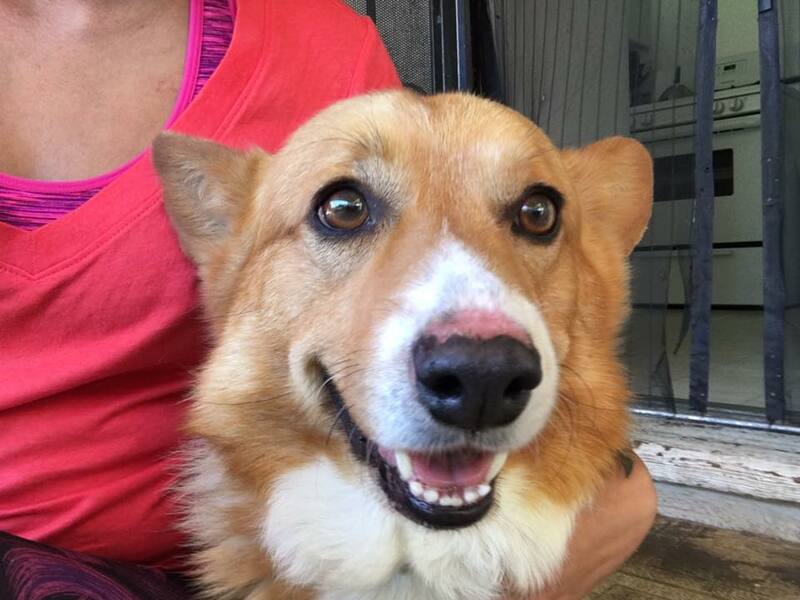 This bright eyed girl is Nikita, a 6.5yr old Pembroke welsh corgi, looking for a furever home. Nikita is an energetic and cuddly girl that walks well on leash, is house trained, and loves people. She's a very intelligent girl that's affectionate and eager to please. She's currently on glucosamine and chondroitin supplements for hip dysplasia, but that doesn't stop her from walking. Girl's got a lot of pep in her step! Nikita needs continued socialization around other dogs and a home that will commit to taking a class with her. Nikita gets along with children and would be great for a family with children over 10 or an individual. Will you open your heart and home to this lovely lady? 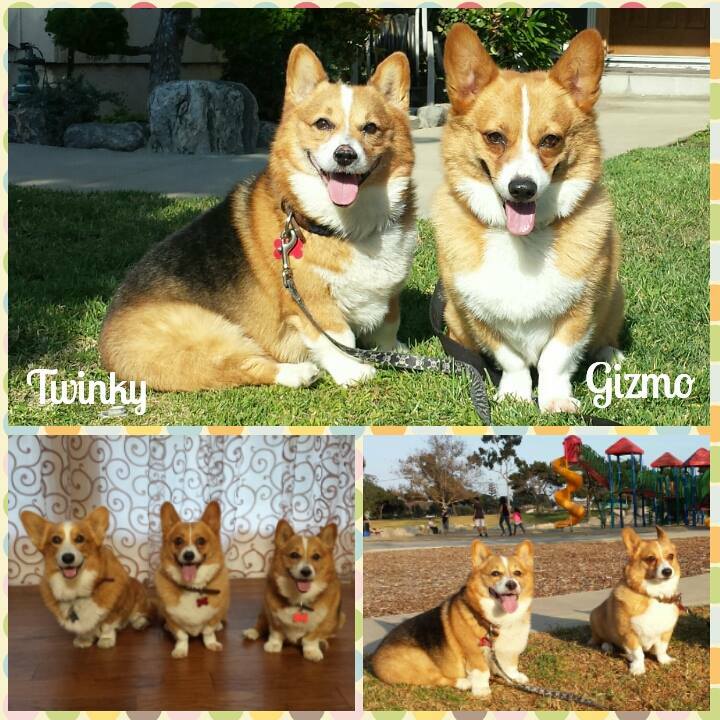 Twinky and Gizmo are 8 and 6yrs old, looking for a furever home together. They're amazing with children and would do well in a household with kids or one looking to expand. Both boys get along with dogs, like playing with toys, and are housebroken. Between the two, Twinky is the more affectionate one, loving a good snuggle. Gizmo is very playful and loves a good chase, especially a laser or reflective light. They've been indoor, home companions their entire lives and are looking for a home that will be their furever family, one that will love them just as much as they'd love back. These boys are incredibly loyal and gentle, a perfect addition to any home. Twinky has an autoimmune condition called discoid lupus, that is easily managed. Anyone interested should familiarize themselves with it before submitting an application at www.qbsdr.org. All QBSDR dogs are up to date on vaccinations, spayed/neutered, and microchipped. 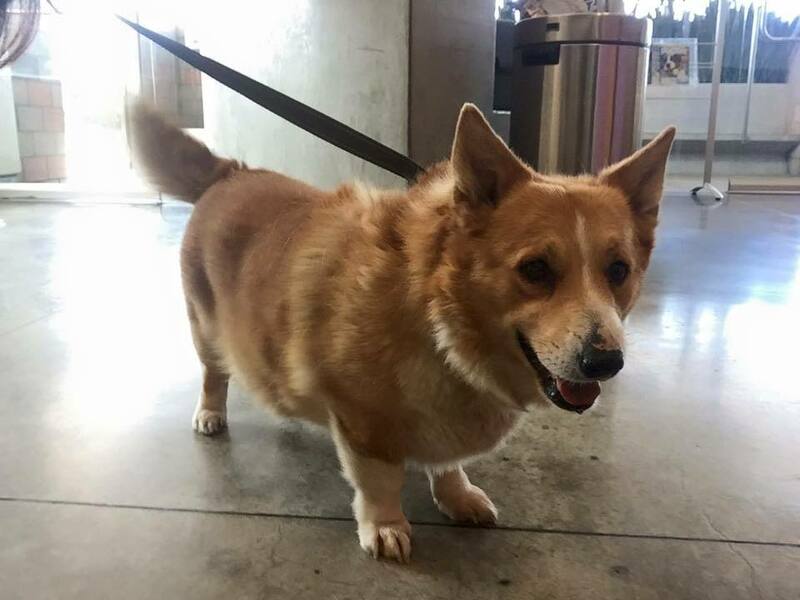 Ginger is a petite low-rider, weighing just 22lbs. She's incredibly playful and energetic for a senior girl, enjoying a good frap and chase around with toys. Ginger has a very assertive, bossy-girl personality. She loves walks and short hikes and would make a great travel buddy. She rides well in a car which is great since her favorite thing is velcro-ing her person. She wants to be with the person she's bonded to. Ginger loves passing her time by gnawing on a chew, rolling around with the wiggles, and snuggling. She's potty trained, crate trained, knows basic commands, and gets along with dogs with proper introductions. Ginger requires structure and rules. She is eager to please, making her a fast learner. Without supervision, she will go after any dog that shows vulnerability by exposing its belly or squealing. Ginger has come a long way and is ready for a home to call her own. In her previous life, GingerSnap was spoiled, she always got her way, which led to dominant behavioral issues. She thought she ruled the household and fought anyone who thought otherwise. Ginger is petite and affectionate, with a spitfire personality. She must go to someone qualified to handle her and will commit to continuing her training to help her reach her fullest potential. She is potty trained, crate trained, knows her basic commands, gets along with dogs provided she has proper structure, and does not get along with cats. Ginger loves to play with toys, loves to cuddle, and is very food motivated. She had previously been with two families, both returned her because of her issues. Since being surrendered to QBSDR, she's been going through training. Are you the right home for GingerSnap? Submit an application today! Say hi to Nelson, one of our biggest goofballs! 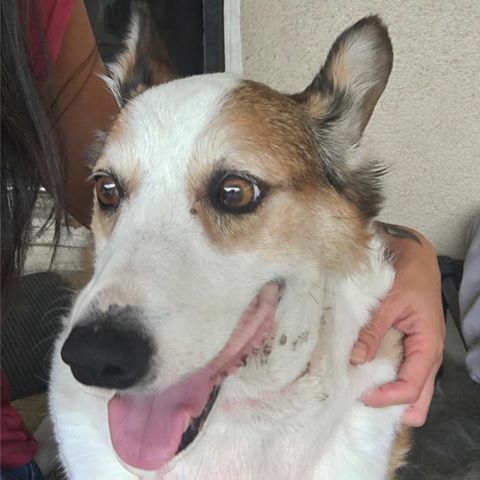 He’s a 5.5yr old corgi/staffie mix that’s full of energy, affection, and loving spirit that the world is meant to experience, and he’s dying to experience the world! Nelson was saved from the OC shelter just before he was set to be euthanized. He was released to QBSDR on a medical waiver and once out, he started a round of antibiotics, was neutered, and had his dangling dewclaws removed for safety. Nelson’s going through some training to work on his socialization around bigger dogs, his leash work, and basic obedience. He gets along with dogs and can be a little assertive with those he senses a challenge from. He loves playing fetch or mouthing at a squeaky ball, and of course frapping around with his foster brofurs. He’s interested in cats but unknown in a home with them. Nelson rides wonderfully in a car and is all about the cuddles. He has a few pounds to lose and would be great with an active family with children over 10 or an active individual that can continue his socialization and training. He’s a perfect companion for any outdoor adventure and will surely brighten any day with his derptastic smile! Are you the person that Nelson needs to thrive in life? If love working with an outgoing personality, Nelson may be the dog for you! Nelson is still going through training but applications are being accepted for review. Meet Maggie, a 10-11yr old senior gal that's looking for a furever home to spend her golden years. Maggie's a spry and energetic girl that loves to go on long walks, cuddle on the couch to your favorite show, or just lounging with her favorite furry species, cats! Maggie can be around other dogs, but in a home environment, she'd be better off as the only dog. Maggie likes her personal space, an alpha girl at heart, but loves company so a cat friend during her retirement years would ideal. She's very sweet and gentle around older, respectful children. Saying she likes a belly rub is an understatement-she LOVES them! 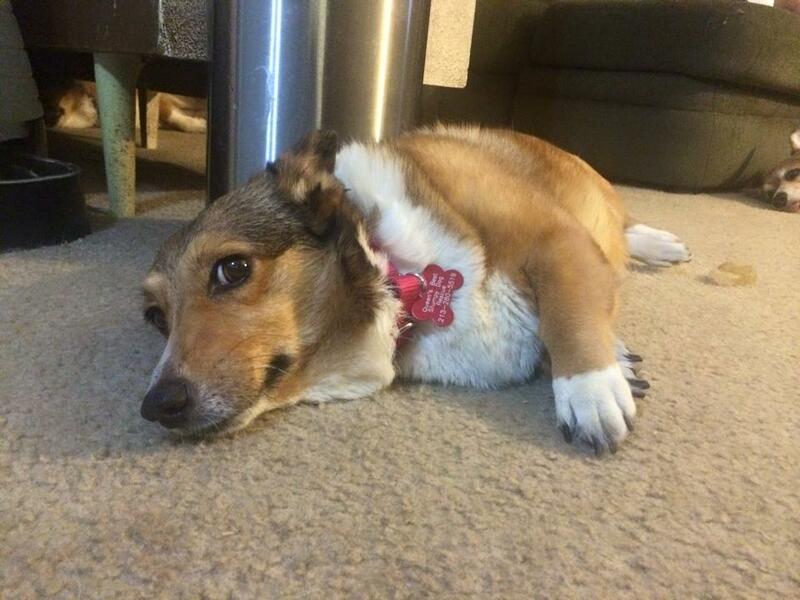 Maggie is a velcro-corg and very motivated to please, making exercise and activity an easy task so she can shed the last 10lbs she has to go! Maggie is a plug n play kind of girl with no major behavioral issues. She would be great with a couple, a family, or an individual looking for a best friend to bring on adventures. She's great in a car! Maggie is potty trained, knows some of her basic commands, is up to date on vaccinations, spayed, and microchipped. She has a very manageable autoimmune condition called Discoid Lupus that effects the soft tissues on her nose and eyes when exposed to the sun. It's important that she use a sunblock that is pet friendly and be limited to direct sun exposure. Any interested parties should familiarize themselves with Discoid Lupus before submitting an application. Maggie is currently located in the Northern California area. Are you the person that Maggie needs to thrive in life? Applications for Maggie are being accepted for review. All QBSDR dogs are up to date on vaccinations, spayed/neutered, microchipped, and require application, homecheck, and adoption contract. For more information about Maggie, email info@qbsdr.org. QBSDR does NOT ship dogs. Rotti is an almost 5yr old low-rider with IVDD (Intervertebral Disc Disease) that’s so smooth, he’ll glide right by you – but not before you squeal, stop, and drop to give him some loving! He’s an active guy that loves going on walks, hikes, car rides, or just lounging about. He loves to be with his people, always included as a member of the family. Snacking on some healthy fruit? You’ll see this guy creep up right next to you. After all, food is his favorite thing, next to cuddling. As you can see, Rotti is a special needs low-rider with a cart. The cart has been acting as a physical therapy aid, keeping his back stabilized and supporting his back end, so he can continue to use his legs. Rotti won’t give up! Try telling him he’s different and he’ll bark in your face, telling you otherwise. Simon’s a 5yr old low-rider with a very calm, sweet, and affectionate demeanor that’s sure to steal your heart. 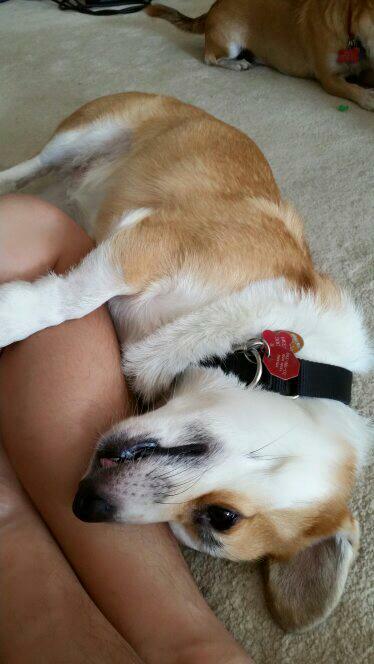 He needs a compassionate and loving home to welcome him in as he is a special needs corgi. Simon’s a gentle and very food motivated low-rider that’ll show off his tricks if you promise to give him a little something. Simon is wonderful with kids and would make an excellent companion to a family. He is house trained, walks well on leash, gets along with dogs, and is uninterested by cats and other small animals. This little guy was diagnosed with idiopathic epilepsy and is currently taking Phenobarbital, Potassium Bromide, Keppra, and Zonisamide to control his seizures. He's officially been seizure free for 4months!! This beautiful boy is 10yr old Henry and he’s looking for a special person to love him furever. Henry bonds deeply to a person and when he does, he yearns to be near them and loves to share his affection. Henry gets along with most dogs, is unknown with cats, loves people, and loves children! He’s been working on his socialization, manners inside a home, and weight loss. Henry is looking for a family to continue his training, his diet, and show him some adventures. Henry came to us after being surrendered by his family. He lived his entire life in a backyard without proper sun protection, which ultimately led to him developing skin cancer. We had his mass removed with wide margins taken, so our vets are optimistic he has some great years ahead of him. 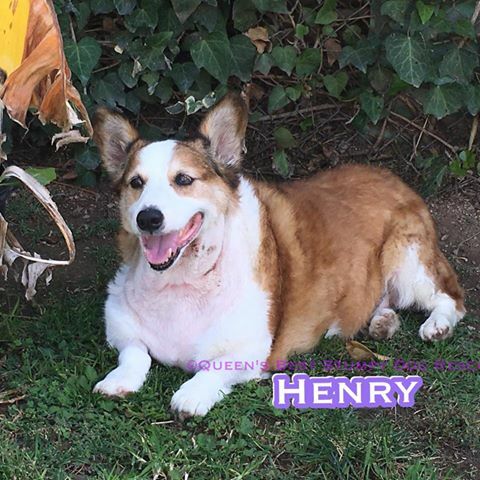 Henry’s dermal hemangiosarcoma is considered a medium grade so he needs to be monitored for potential recurrence of lumps n bumps. We understand that the big “C” is scary, but he didn’t ask for this to happen and it doesn’t make him any less loving or worthy. Maybe you have a chronic or terminal condition or know someone who does? Do you need to monitor your own lumps n bumps? What better dog to walk that journey with, than Henry? He’s a very sweet and loving guy that doesn’t know anything but to live each day to its fullest. He’s looking for a home to spread his enthusiasm, joy, and optimism with. Henry is up to date on vaccinations, neutered, microchipped, and ready for a home to call his own. - Henry was on TV! 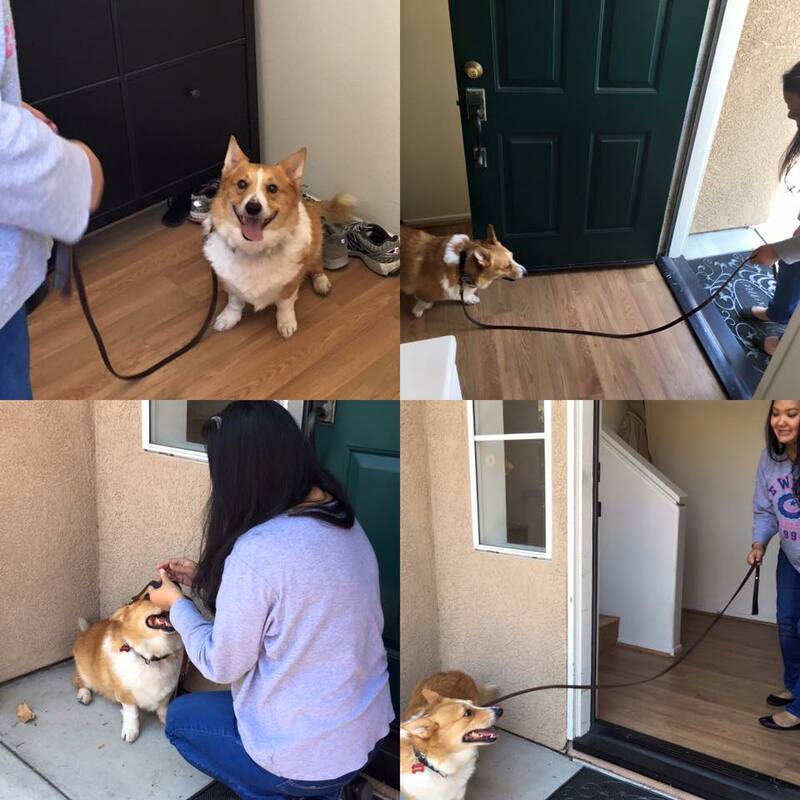 ✓ Gets along with Dogs & Kids! Consider opening your heart and home to a special needs dog today! Well, hi there! My name is Madison, but I’m also called Mama Maddie because I’ve had quite a few litters in my previous life. 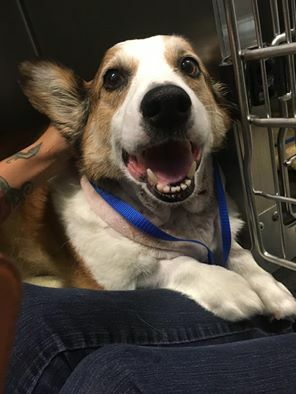 I was found as a stray, taken to Baldwin Park Shelter and then busted out by QBSDR! I’m 10 years old and am probably the most affectionate dog you’ll ever meet; I love giving licks, and cuddling! I absolutely love my humans, I’m eager to please, and I get very excited and energetic for walks, treats, and cuddles. It’s easy to tell because as a chihuahua mix, I still have my tail and like to keep it waggin’! I get along with dogs, cats, and has no behavioral issues. I’m looking for a home where I can be a loved member of the family. I would be great in a household with kids and other pets or as an individual companion. Hi friends!! We’re George and Willie, the bonded boys of QBSDR! 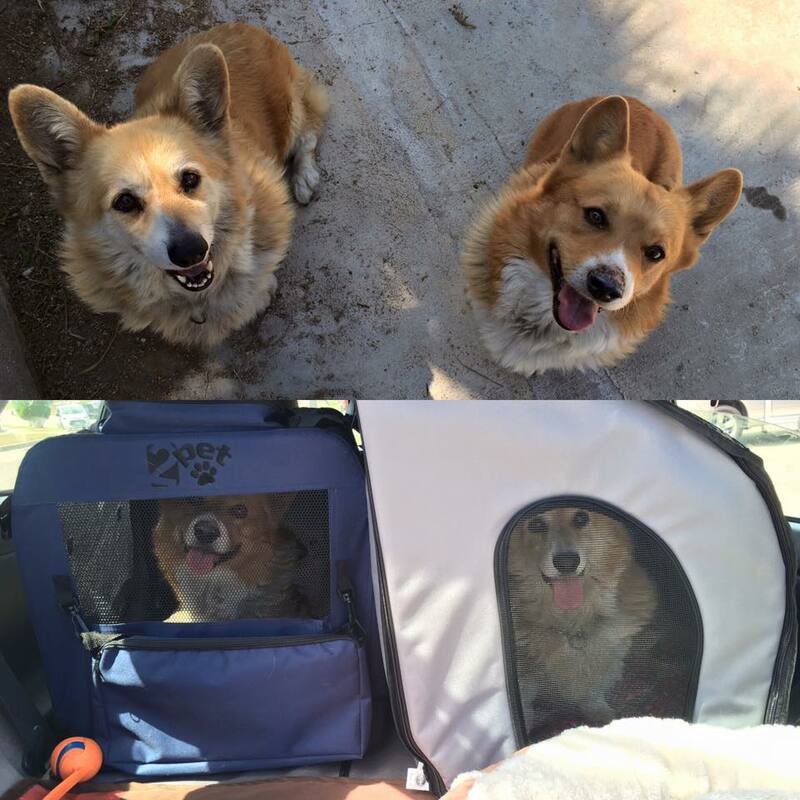 We’re 8yrs and 11yrs old and are looking for a home where we can stay together! Will you help share our story to find us a home? We’re both good with other dogs, have never lived with kitties (but the humans think we’d be okay), LOVE kids, and a good frap! We have a relaxed, mellow energy and love lounging around in the yard until we get to herding. We love each other very much and get anxious when separated. We lost our family to divorce and refuse to lose each other too. We were primarily backyard dogs so we haven’t had much exposure to the outside world. We want to experience some adventures and become confident members of a family and society. We’re both potty trained, know some basic commands, and are very polite with our manners. We’re up to date on vaccinations, neutered, and microchipped. We have some old injuries that need to be monitored but are easily managed with glucosamine supplements, golden paste, and salmon oil. Do you have a nice backyard for us to frap around in? We’d love to meet you! 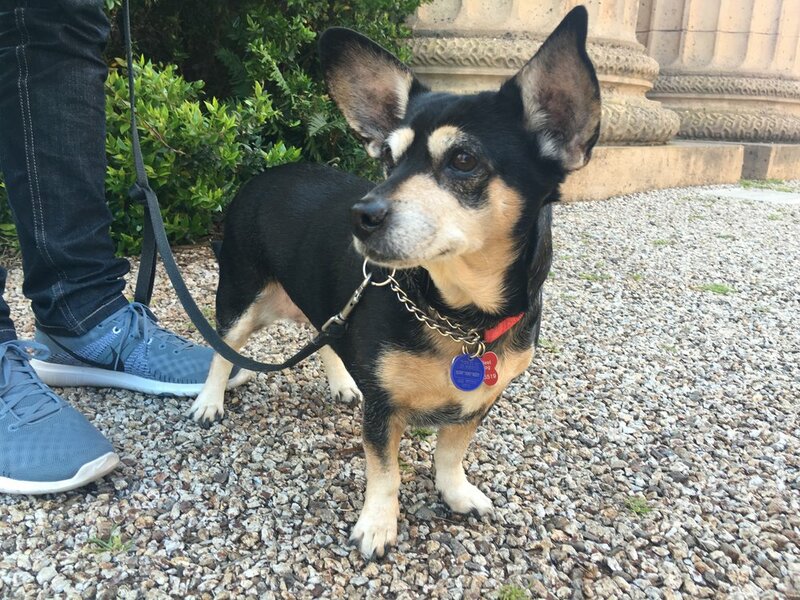 I’m Lester, a 6yr old low-rider looking for a furever home! I’m still a work in progress, but I wanted to introduce myself! 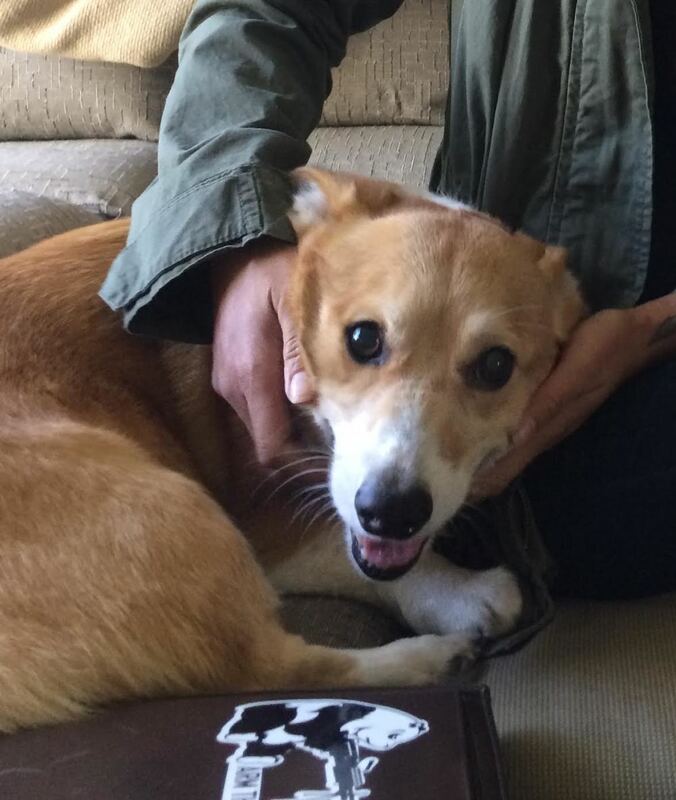 I’m a loving, affectionate, hard headed corg that needs a furever home with an experienced adopter. I need a strong leader that can give me boundaries and rules at home while helping me learn at doggy school. I had too much freedom in my previous home, which got me into trouble. I’d like to stay out of trouble! I’m okay with most dogs, unknown with cats, and love saying hi to people! I’m not so sure about the little people, so older, nicer ones over 10 are preferred. My leash manners are improving and I know some basic commands. I’m a smart dog that’s driven to work. I like seeing my people happy! I have more pounds to shed to help my back and hips so I’d love a home that will be active and healthy with me. I do have hip dysplasia, but it can be managed with glucosamine/ chondroitin/msm, golden paste, salmon oil, weight management. This 7yr old boy is Gizmo! He's looking for a new home as an only dog or with a submissive companion. 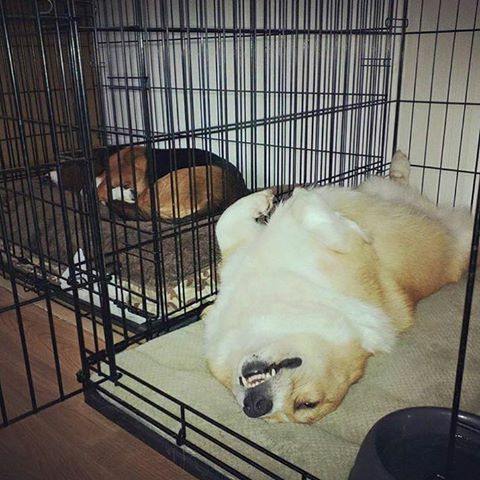 He had a little too much freedom in his previous home, which went to his head and brought out the butthead behaviors corgis are known for. He'd prefer a home with no cats and older, respectful children. He's a medium to high energy dog that needs a strong leader with dog experience and working dog experience. Gizmo is potty trained, up to date on vaccinations, microchipped, neutered, and has a lot of love to give. His new home must commit to taking an obedience class with him to build a bond through guidance and leadership, and to help him maintain his manners. 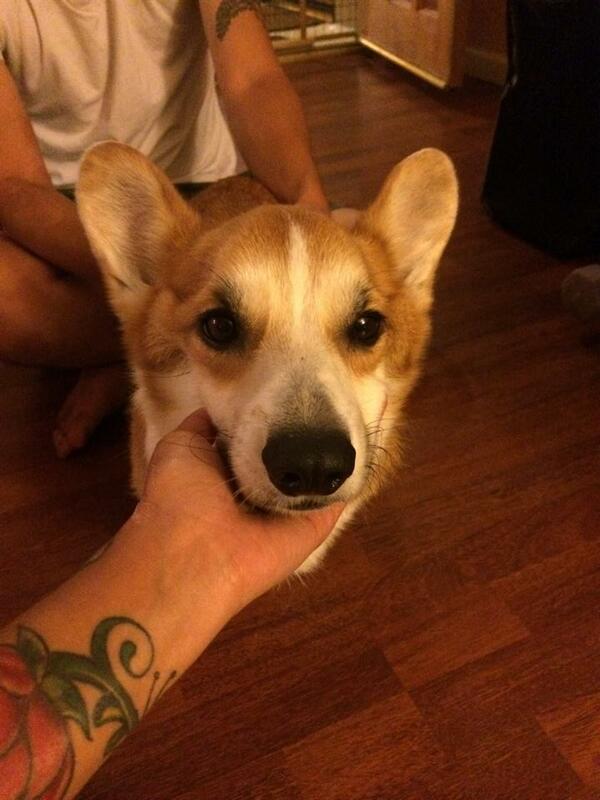 Gizmo is currently located in the Northern California Bay Area. This is Poppy, a sweet 7.5yr old girl with an energetic spirit and sassy personality. Poppy is looking for a family that will give her the life she deserves, one full of love, companionship, adventures, and understanding. Poppy was one of the #SanDiego5, saved from a backyard breeding puppymill. Poppy's been acclimating to life inside a home, as part of a family and building her confidence with foster mom as she ventures out into the world, working on her socialization. 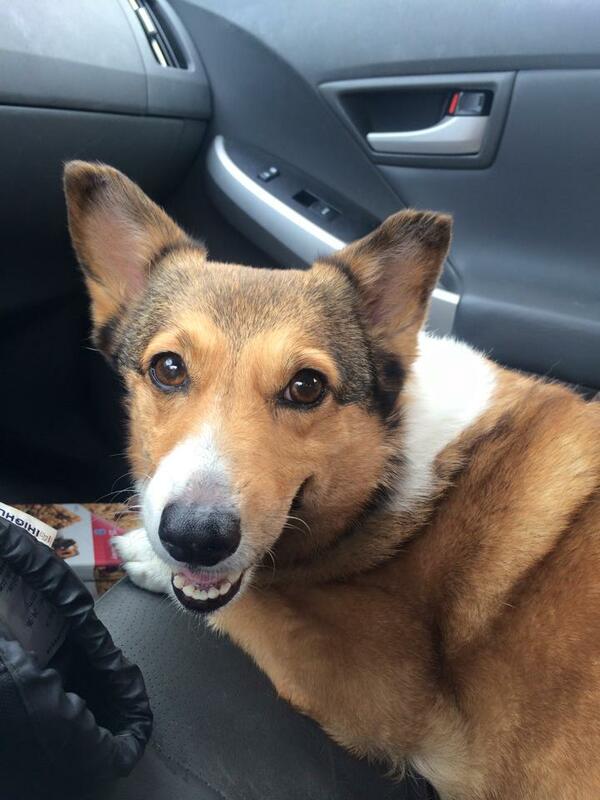 Poppy is an affectionate and playful girl that gets along with dogs, but like most female corgis, can have an assertive side. She's potty trained, knows most of her basic commands, and is crate trained. She enjoys snuggling and playing with toys or patrolling the yard. 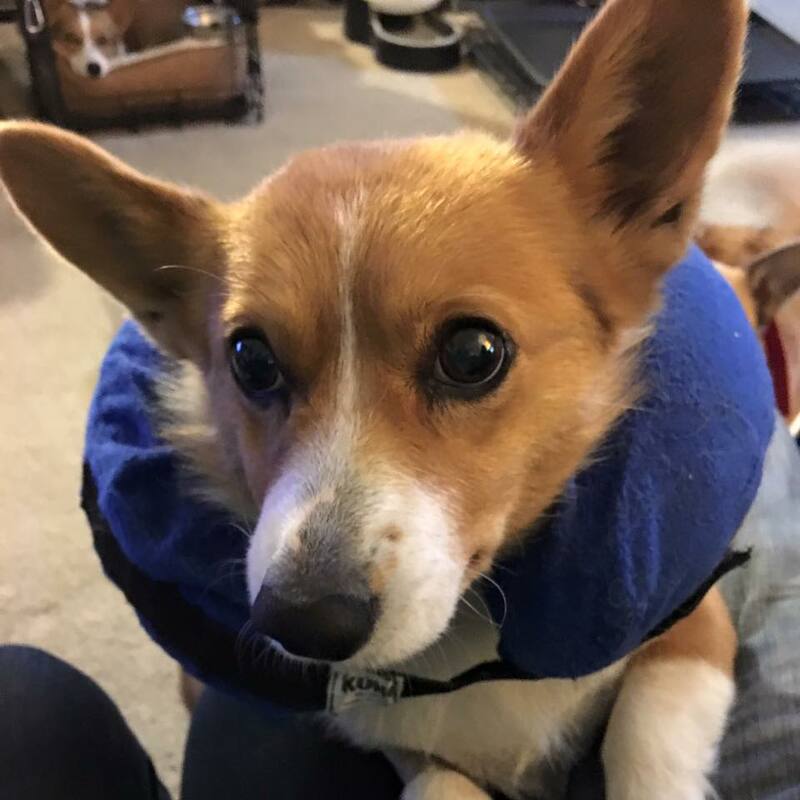 Poppy's biggest issue is anxiety - social anxiety that causes her to freeze and separation anxiety that can manifest into potty accidents and at times destructive behavior. It'll be continued work to help her fully transition into a normal, carefree dog but the benefits to her mental wellbeing and quality of life will pay off tenfold. Poppy is unknown with cats and good with respectful children. She's up to date on vaccinations, spayed, microchipped, and can be seen by appointment only. 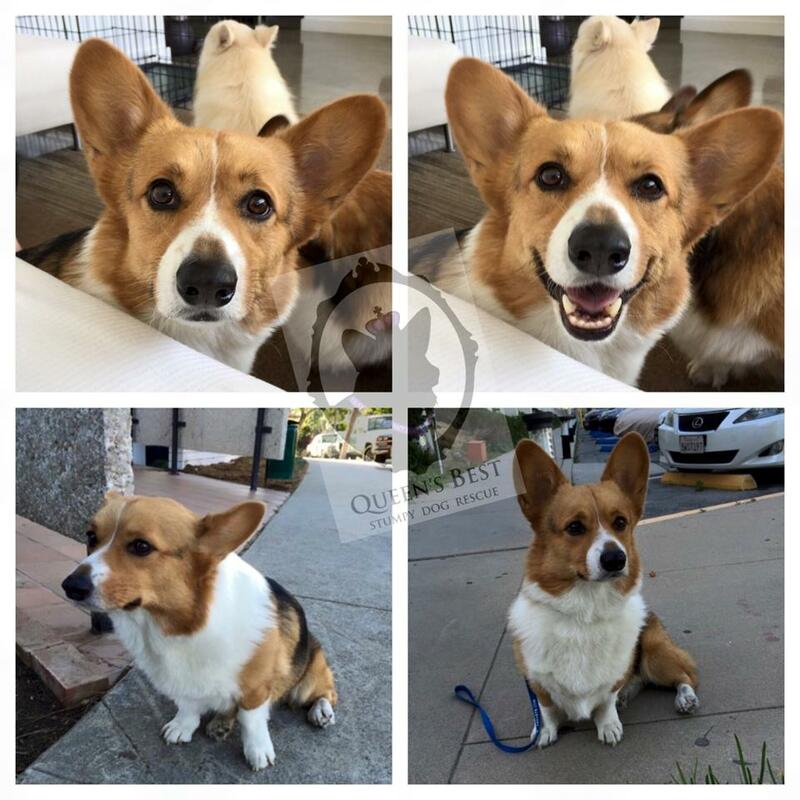 Poppy is currently being fostered in the San Diego area. To learn more about Poppy, email info@qbsdr.org or submit an application for review. 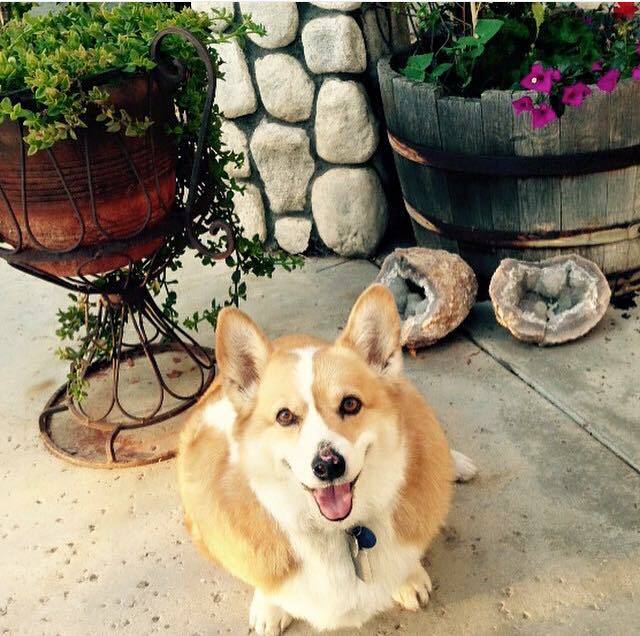 Nugget's a 10.5yr old Pembroke Welsh Corgi, a tiny girl with a big heart. She was found as stray by animal control, abandoned in the middle of a field. She was alone and in a very neglected state. She was filthy with overgrown nails, and had lameness in her legs. Mentally and emotionally, she quickly showed a resilience that was eager to love. We'll never know why Nugget was left out there, but we can speculate based on her condition and symptoms that her prior humans got overwhelmed. She needs a very dedicated individual, couple, or family that will be committed to her quality of life. Nugget was has DM (Degenerative Myelopathy) and gets around by scooting, or with the assistance of her wheels. She is currently still potty trained and will alert when she needs assistance. She's sweet, playful, affectionate, and talkative, although very respectful, using inside voices. 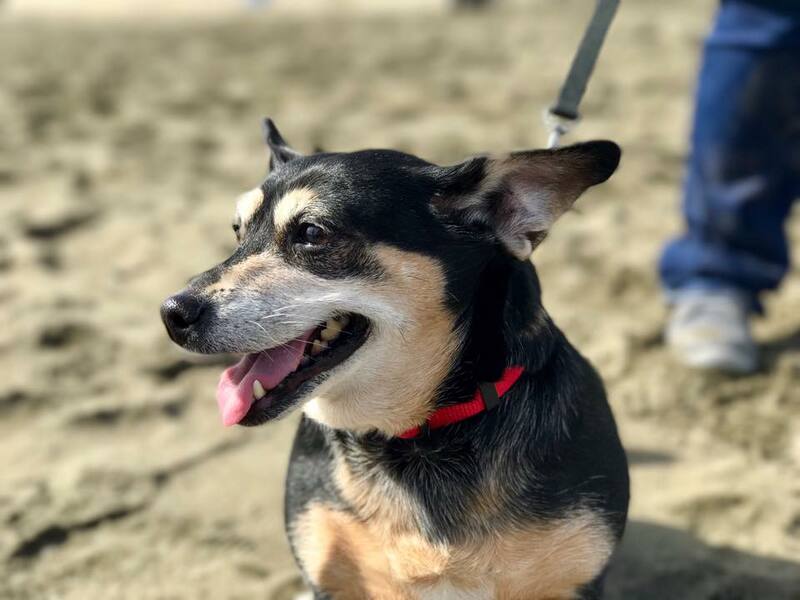 It goes without saying, Nugget needs a little more help than your average dog, but what she has to offer in companionship, loyalty, and devotion make it all worth it. DM is a horrible disease and not easy to witness; it is essentially doggy ALS. Nugget had no control over this diagnosis, she can only push forward and hope that someone will love and accept her as she is, and give her the gift of a quality of life. If you've had experience with DM, maybe the universe was preparing you for the next DM dog that needs you. Nugget would love a furever home with someone that works from home, works in a dog friendly office, is a stay at home mom, is willing to hire a dog walker, or is retired. Ask yourself, what would you do if this happened to your dog? She's a perfect stroller dog to accompany just about anywhere. Consider opening your heart and home to Nugget, a dog that truly needs you. To learn more about Nugget, email info@qbsdr.org or submit an application for review. Hayley is a 7yr old Pembroke. She's a petite low-rider, weighing just 22lbs. She's had a bit of a bumpy road, so giving her stability is first up on the agenda. Her original owners kept her outdoors, without any form of shelter. They claimed to have never bred her, but her body tells otherwise. She wasn't up to date on shots, had no microchip, wasn't spayed, and had numerous mammary tumors...it's likely she was used as a backyard breeding dog. A caring individual privately adopted her from the original owners and brought her home. Sadly, after taking her to the vet and being informed she may have cancer, Hayley's adopter decided to surrender her to QBSDR. We had diagnostics run at VHC-a blood panel, xrays, and exam by Dr. Odama. Her panel came back normal and X-rays showed mild dysplasia in both hips. Hayley underwent surgery to remove all the mammary tumors, the lump on her hip, and was spayed. Her lumps and bumps were sent out for histopathology and on Christmas Eve, we got the best news-the tumors were benign! Hayley has a lot of anxiety. She constantly paces and circles, and has severe separation anxiety which results in a lot of barking. She's working on her socialization, basic obedience, and reactiveness on leash. She's a very high energy girl, incredibly playful, and great with kids. She gets along with most dogs but will challenge a female if given the opportunity. More updates on Hayley to come!